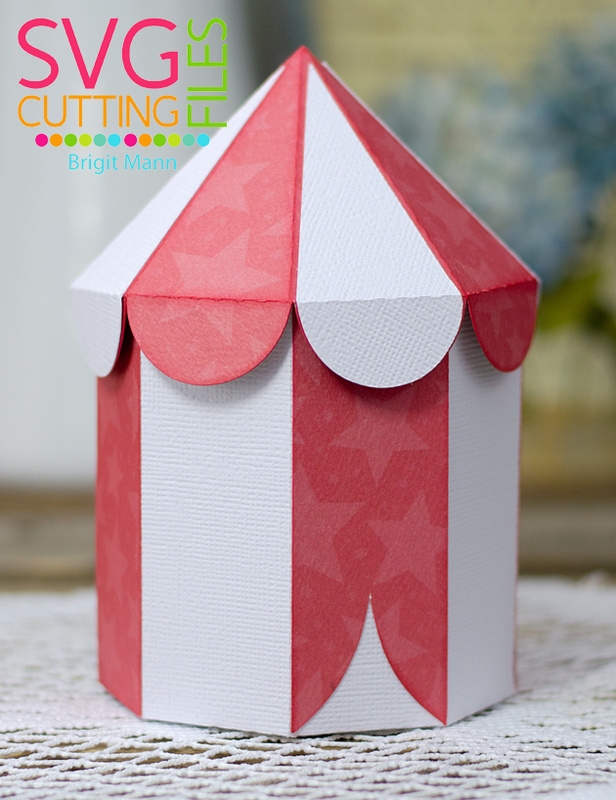 I'm sharing this cute project using the new Circus Tent Box. This file will be available in the store tomorrow. 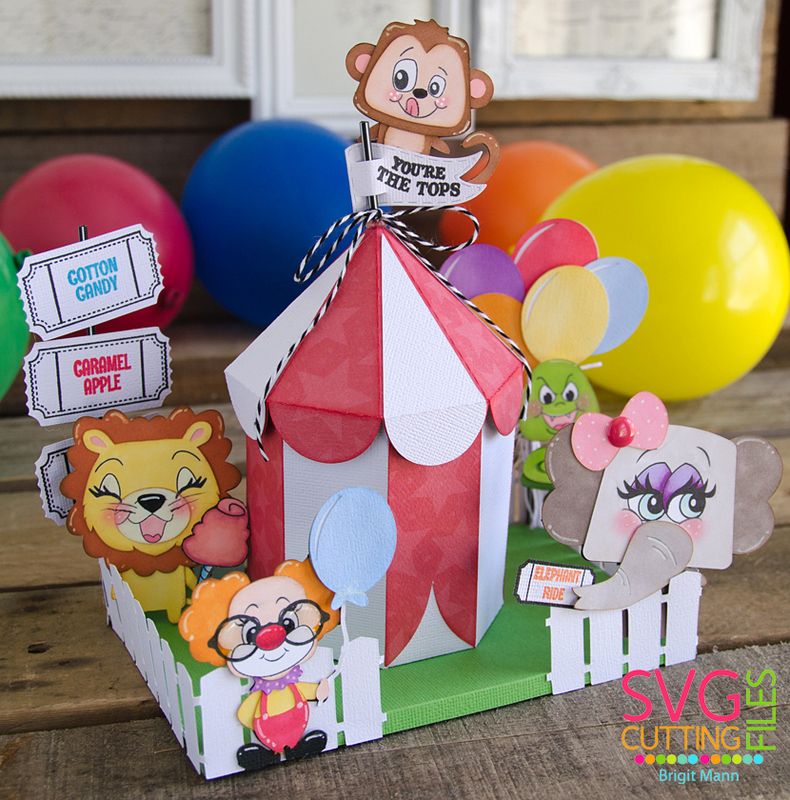 Along with the new Circus Tent Box I used some of the animals from the Chibi Jungle Animal Set and added some cute Peachy Keen Faces to each. I did the same for the Clown With Balloon. The base and fence are from the Fence Platform Box, I just cut down the base and made the fence shorter in SSDE. For the balloons I used the Kawaii Balloon without the face. The flag is from Jaded Blossom's Treat Flags and all the sentiments are from Peachy Keen Stamps. I had so much fun putting this project together, I think it would make such a cute birthday party or even a baby shower table centerpiece! I put a nice size bag of peanuts inside! 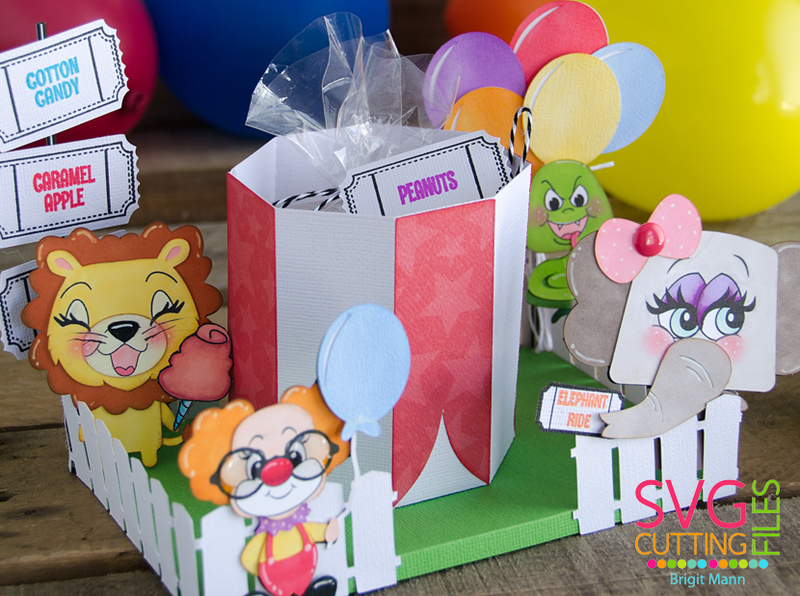 Here's a photo of just the Circus Tent Box! If you want to win this cut file make sure you visit my post over at SVG Cutting Files and leave a comment before Friday at 8:30 PST!! OMGoodness, this is over the top cute! !